In support of a recent Abu Dhabi Government resolution, the Media Zone Authority – Abu Dhabi (MZA) is pleased to announce that it will now be waiving the licencing and registration fees to new companies and new freelancers for their first two years from registration. In addition, free zone registered companies can now apply for an additional branch licence from the Abu Dhabi Department of Economic Development (‘DED’), without the need to have a second additional onshore office or premises. The licence, often referred to as an ‘onshore’ licence, helps businesses carry out commercial activities more freely and take part in tenders for government and semi-government entities. When you apply for the DED onshore licence, the licensing fees by Abu Dhabi government are now also waived for the first two years from the licence date. This is great news for the free zone as media companies will have access to more business opportunities at a lower cost. This is all in addition to twofour54’s full range of services including the Briefing Room, Connect Networking Events, access to their freelance pool and youth community, production services and facilities, government and travel services, and a diverse range of commercial spaces. As part of its goal to help ensure a vibrant and successful media industry in Abu Dhabi and the region, the Media Zone Authority – Abu Dhabi (the Authority) produces and maintains a robust legal and regulatory framework. As part of this initiative, the Authority also produces Guidance Notes to help entities and individuals working within the Media Zone – Abu Dhabi (MZA) understand certain legal and regulatory obligations that may be applicable to them. In this Guidance Note, we will explore some of the potential implications on MZA entities and individuals (collectively, Stakeholders) under the General Data Protection Regulation (GDPR), which formally came into effect across European Union (EU) member states on 25 May 2018. Although not necessarily strictly relevant to the UAE, many of our stakeholders may have or do business in or with EU entities or individuals and may find the information helpful to understand the potential “reach” that the GDPR has for businesses outside of the EU. Please note that the information contained in this guidance note is for general information purposes only, and is not to be considered a substitute for obtaining independent legal advice. MISSION: Facilitate the growth and development of the Abu Dhabi media industry through the implementation of conducive, transparent, consistent and effective regulations, and strategic media initiatives, which in turn positively contributes to Abu Dhabi’s GDP. VISION: A thriving world-class media industry that contributes significantly to the achievement of the Emirate of Abu Dhabi’s economic, social, and cultural objectives. The Authority, established by Abu Dhabi Decree Law No. 12 of 2007, is the regulatory body of the free zone, Media Zone – Abu Dhabi. The Authority is ISO 9001:2008 certified. ISO 9001:2008 is an internationally recognized set of standards for quality management systems developed and published by the International Organization for Standardization. Being ISO 9001:2008 certified means that the Authority maintains an excellent level of quality and satisfaction, ensuring that it meets the needs of its customers. 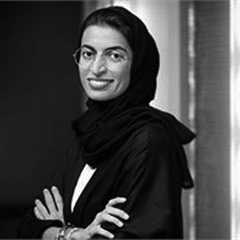 Her Excellency Maryam Al Mheiri is Chief Executive Officer of Media Zone Authority – Abu Dhabi (MZA) and twofour54. She is responsible for managing and developing MZA’s strategic operations, aiming to build a sustainable media industry that contributes to the economic and cultural development of the Emirate and positions Abu Dhabi as the regional hub for media and entertainment. Maryam is also a member of the Executive Council’s Economic Development Committee. Through her role as CEO of twofour54, Maryam delivers strategic partnerships and stakeholder engagement between local government and the private sector that enhance Abu Dhabi’s media industry. In addition, she plays an integral role in further strengthening twofour54’s ties with international production companies. Maryam has held senior positions in a number of UAE entities including Thuraya Satellite Telecommunication Company and the Ministry of Higher Education & Scientific Research. Holding a Global Executive MBA jointly issued by NYU Stern, LSE and HEC Paris and she completed her undergraduate studies in Accounting & Business Administration with distinction and honours at the UAE's Higher Colleges of Technology. The Media Zone Authority – Abu Dhabi develops initiatives and supports businesses that contribute to its strategic goals for growing the media sector and its human resources. twofour54 Abu Dhabi is a tax-free media zone located at the heart of one of the fastest growing media markets in the world with attractive economic benefits for companies, such as easy business set-up services, 100% company ownership in a stable, tax-free environment. A place where some of the biggest names in the industry call home and the perfect location for your business, big or small, to thrive and prosper. Named after the geographical coordinates of Abu Dhabi (24° North, 54° East), twofour54 is a unique media zone dedicated to helping like-minded companies and professionals take full advantage of the Middle East & North Africa region's current and future offerings in the media sector. twofour54's mission is to nurture media businesses and professionals by means of a fully integrated and supportive tax-free ecosystem that delivers world-class production services and talent development, ensuring the growth and sustainability of the region’s media industry. Image Nation Abu Dhabi is one of the leading media and entertainment companies in the Arabic-speaking world, producing local and international films, documentaries & television content, and is a pan-Arabic broadcaster following the 2015 launch of Quest Arabiya. Image Nation’s slate includes Emirati produced feature films (From A to B, Sea Shadow), cause-driven documentaries (He Named Me Malala, Every Last Child), insightful television shows (Beyond Borders, Hayati Walaskariya) and award-winning international co-productions (The Help, Flight, 99 Homes). Through its content, Image Nation is creating opportunities for local talent to tell their stories and work on projects that provide them the tools to establish and sustain a local industry. 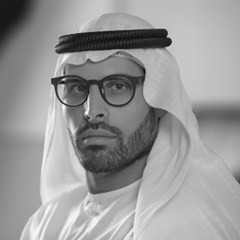 Abu Dhabi Film Commission is established to support the development of Abu Dhabi's growing film & TV industry and promote the Emirate as a production and filming location. 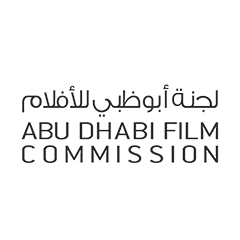 The Abu Dhabi Film Commission offers the Middle East’s first production incentive, providing access to a generous 30% cash-back rebate on productions, including feature films, television dramas (including series), commercials, other television formats, such as lifestyle, reality, game shows and entertainment programmes shot in Abu Dhabi; and post-production, digital content services, visual effects (PDV) services for projects shot inside or outside Abu Dhabi. Implementing mechanisms to ensure compliance with the Media Zone regulations and codes. What are the benefits of setting up a business in the Media Zone – Abu Dhabi? a sizeable portfolio of sole proprietors (freelancers) specializing in media and entertainment skills. Which laws and regulations are applicable in the Media Zone – Abu Dhabi? All federal laws of the United Arab Emirates (UAE) are applicable in the Media Zone – Abu Dhabi except for UAE Federal Law No.2 of 2015 concerning commercial companies. The Media Zone Authority Abu Dhabi maintains its own legal and regulatory framework which applies within the Media Zone – Abu Dhabi. This framework, which can be found here, governs companies, branches and sole proprietors (freelancers) operating from the Media Zone. How do I ‘set up’ in the Media Zone – Abu Dhabi? license as a sole proprietor (freelancer). In order to operate from the Media Zone – Abu Dhabi, an entity (FZ-LLC or branch) and/or sole proprietor (freelancer) must hold a valid business license issued by the Media Zone Authority – Abu Dhabi. If an entity (FZ-LLC or branch) intends on carrying out a dissemination activity (such as publishing a print book, magazine, newspaper or broadcasting a satellite or terrestrial television channel or radio station) from the Media Zone – Abu Dhabi, the entity must also hold a valid dissemination license issued by the Media Zone Authority – Abu Dhabi. What is the difference between an FZ-LLC and a branch? An FZ-LLC is a legal entity incorporated in the Media Zone – Abu Dhabi. A branch is a representation in the Media Zone – Abu Dhabi of the principal company, which is incorporated in another jurisdiction, and is a legally dependent part of the principal company. 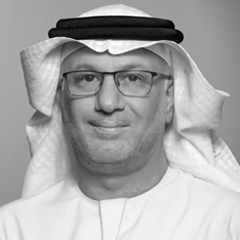 What are the regulatory requirements for incorporating an FZ-LLC in the Media Zone – Abu Dhabi? REGISTERED OFFICE: An FZ-LLC must have a registered office within the Media Zone – Abu Dhabi at all times. 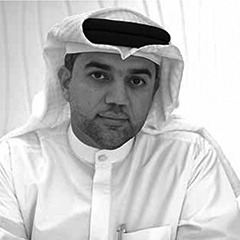 What are the regulatory requirements for establishing a branch in the Media Zone – Abu Dhabi? PRINCIPAL COMPANY: The principal company (either one incorporated in the United Arab Emirates or any other jurisdiction) must provide evidence that it has decided to set up a branch office in the Media Zone – Abu Dhabi. REGISTERED OFFICE: A branch must have a registered office within the Media Zone – Abu Dhabi at all times. Are there any restrictions on FZ-LLC or branch names? During the application process, the Media Zone Authority – Abu Dhabi (MZA) team will provide guidance to entities on whether the proposed entity name will be acceptable. 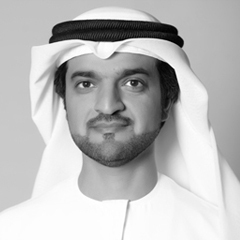 The entity should consider whether the proposed name is the same or similar to one already registered with any of the Departments of Economic Development within the UAE, and the MZA team will confirm whether the proposed name is the same or similar to one already registered in the Media Zone – Abu Dhabi. The proposed name cannot include “Abu Dhabi” and/or “United Arab Emirates” in it and cannot give the impression that the entity is connected with a government or government authority. What is the role of the general manager of a FZ-LLC or branch? The general manager is an employee of the FZ-LLC or branch and must be empowered to manage the day to day operations and be the primary representative of the FZ-LLC or branch in all matters with the Media Zone Authority – Abu Dhabi. All non-GCC national general managers must be sponsored (i.e. UAE employment and residency visa) by the Media Zone Authority – Abu Dhabi at all times regardless of whether the individual has been sponsored elsewhere in the United Arab Emirates. Why is every entity (FZ-LLC and branch) and sole proprietor (freelancer) required to have a business license? Every entity (FZ-LLC and branch) and sole proprietor (freelancer) is required to have a business license issued by the Media Zone Authority – Abu Dhabi in order to operate from the Media Zone – Abu Dhabi. In order to be granted a business license, the entity must have first incorporated a FZ-LLC or established a branch in the Media Zone – Abu Dhabi and the freelancer must have first properly applied for a sole proprietor business license. The business license will specify the activities the entity and/or freelancer may carry out from the Media Zone – Abu Dhabi. When does an entity (FZ-LLC or branch) need a dissemination license? A dissemination license is required if an entity (FZ-LLC or branch) intends on carrying out a dissemination activity from the Media Zone – Abu Dhabi. A dissemination activity includes activities such as publishing a print book, print magazine, print newspaper or broadcasting a satellite or terrestrial television channel or radio station. Please contact our regulatory team at the Media Zone Authority – Abu Dhabi if you intend on carrying out a dissemination activity from the Media Zone – Abu Dhabi. What are the employment and sponsorship requirements for an entity (FZ-LLC and branch) in the Media Zone – Abu Dhabi? EMPLOYEES: All non-GCC national employees of an FZ-LLC or branch (including the general manager) must be sponsored for a work permit and residence visa by the Media Zone Authority – Abu Dhabi in accordance with the Employment and Sponsorship Regulations 2011, regardless of whether the individual is already sponsored elsewhere in the United Arab Emirates. DIRECTORS AND SHAREHOLDERS: Directors and shareholders only need to be sponsored by the Media Zone Authority – Abu Dhabi if they are employees of the FZ-LLC or branch. LICENSED SOLE PROPRIETORS (FREELANCERS): All non-GCC national licensed freelancers must be sponsored for an employment and residence visa by the Media Zone Authority – Abu Dhabi, regardless of whether they have been sponsored elsewhere in the United Arab Emirates. The government and travel services department of twofour54 FZ-LLC provides all the administrative and logistical support for employment and residency visas and all other government services that entities and freelancers may require. The Media Zone Authority- Abu Dhabi (the Authority) continually strives to ensure that a vibrant and successful media industry develops in Abu Dhabi and the region. As part of this goal, the Authority maintains a legal and regulatory framework of regulations, codes, policies & procedures and guidance notes which apply to all entities and individuals working within the Media Zone – Abu Dhabi. The legal and regulatory framework in the Media Zone – Abu Dhabi reflects best industry practice both locally and internationally and supports the growth of the Media Zone – Abu Dhabi. Dissolving FZ-LLCs and closing branches. As part of a Government resolution, the Media Zone Authority – Abu Dhabi is waiving the licencing and registration fees, starting December 2018, to new partners and freelancers for their first two years. Sole Proprietor (Freelancer): licencing of an individual to work in his/her personal capacity from the Media Zone – Abu Dhabi as a media professional. Form CR 4: In the Form CR 4, you will need to provide information such as the proposed name of the company, the share capital, names and shareholding of each shareholder, two directors and company secretary. Supporting Documentation: You will need to submit all required supporting documentation detailed in the checklist at the end of the Form CR 4. Registration Fee: You must pay the registration fee and any bank transfer charges (if any). Form LR 5: In the Form LR 5, you will need to provide information such as the name of the proposed general manager, the business activities your company intends on carrying out from the Media Zone – Abu Dhabi and indicate whether you intend on disseminating (publishing or broadcasting) information from the Media Zone – Abu Dhabi. If you intend on conducting a dissemination activity, you will need to fill in Form DL 2: Application for a Dissemination License and supply all required supporting documentation. Supporting Documentation: You will need to submit all required supporting documentation detailed in the checklist at the end of the Form LR 5. Licencing Fee: You must pay the business licencing fee. Form CR 6: In the Form CR 6, you will need to provide information such as the details of the principal company, including the shareholders and directors of the principal company and the authorized signatory of the principal company. Supporting Documentation: You will need to submit all required supporting documentation detailed in the checklist at the end of the Form CR 6. Form LR 5: In the Form LR 5, you will need to provide information such as the name of the proposed general manager, the business activities your branch intends on carrying out from the Media Zone – Abu Dhabi and indicate whether you intend on disseminating (publishing or broadcasting) information from the Media Zone – Abu Dhabi. Form LR 5A: In the Form LR 5A, you will need to provide your personal information, the requested duration (three (3), six (6) or twelve (12) months) of your business license, your CV, the business activities you intend on carrying out from the Media Zone – Abu Dhabi, job references for those business activities and either a business plan or letter(s) of intent from entities in the Media Zone – Abu Dhabi. Supporting Documentation: You will need to submit all required supporting documentation detailed in the checklist at the end of the Form LR 5A. Facilitating the liquidation of a FZ-LLC and closure of a branch. Once you have decided on the type of entity you wish to set up, you will need to work with the relevant twofour54 FZ-LLC commercial teams to agree an appropriate space to fulfill your needs. Obtaining a leased space is not a requirement if you are setting up as a sole proprietor (freelancer). Our mission is to provide a fully integrated and supportive ecosystem to enable Abu Dhabi’s media and entertainment industry to grow sustainably. As part of a recent government resolution, the Media Zone Authority – Abu Dhabi is waiving the licencing and registration fees to new partners and freelancers for their first two years, effective 1st December 2018. **waived in full for first two years if licenced after 01 December 2018. Any other information, materials or data which you submit to MZA through the Website. If you are only browsing this Website, MZA does not capture data that allows it to identify you individually. Instead, MZA may collect information about your computer, including where available your internet protocol (IP) address, operating system and browser type, for system administration. Such information does not identify any individual. Although MZA will do its best to protect your information which you have transmitted to it, MZA cannot guarantee the security of such information including but not limited to the information set out at clause 1.1 above. Any transmission is at your own risk. Once your information is received by MZA, MZA will use all reasonable procedures and security features to try to prevent unauthorised access. MZA does not collect or store any individual payment information (such as credit card or bank information) from you. to protect the rights, property, or safety of MZA, its customers, its partners or other relevant third parties, including but not limited to exchanging information with other companies and organisations for the purposes of fraud protection and credit risk reduction. This Website may, from time to time, contain links to third party websites, including links to a payment gateway. If you follow a link to any of these websites, please note that these websites may have their own privacy policies and that MZA does not accept any responsibility or liability for these policies. Please check these policies before you submit any personal data to these websites. MZA reserves any rights not expressly granted to you in these Terms. Unless otherwise stated, all creative works, text, data, software links, audio content, audiovisual content, footage, graphics, images (photographs), illustrations, forms and look and feel attributes, MZA trade mark and logos, copyrighted material and other intellectual property rights in all information, documents or material on the Website and any technology or code making up any MZA widget (“Content”) are owned and/or controlled by MZA or its licensors. Any downloading, reproduction, republication, extraction, modification, copying, distribution, transmission, display or sale of Content or any other part of the Website without the express written consent of MZA for any purpose is strictly prohibited. No content or any other part of the Website may be reproduced, republished, extracted, modified, copied, distributed, displayed, stored or otherwise included in any other website or any public or private electronic retrieval system or service without MZA specific prior written permission. The trade name “Media Zone Authority-Abu Dhabi” is owned by MZA. You shall not use or display publicly the “MZA” trade name “Media Zone Authority” without the prior written consent of MZA. The Website may contain or make reference to trade marks or other proprietary intellectual property rights of MZA, its partners or of other third parties. No license to or right in any of these trade marks or other proprietary intellectual property rights is granted to or conferred upon you by reason of such reference. The Website and Content are protected by copyright, trademark, and other laws of the United Arab Emirates and all other countries. Except as expressly provided in these Terms, MZA and its licensors (if specified by MZA) exclusively own all right, title and interest in and to the Website and MZA Content, including all associated intellectual property rights. You will not remove, alter or obscure any copyright, trademark, service mark or other proprietary rights notices incorporated in or accompanying the Website or MZA Content. Subject to your compliance with these Terms, MZA grants to you a limited, nonexclusive, non-transferable license, without the right to sublicense, to access, view, download and print, where applicable, any MZA Content solely for your personal and non-commercial purposes, revocable upon notice by MZA without need to ascribe reasons for doing so. You will not use, copy, adapt, modify, prepare derivative works based upon, distribute, license, sell, transfer, publicly display, publicly perform, transmit, stream, broadcast or otherwise exploit the Website or MZA Content, except as expressly permitted in these Terms. No licenses or rights are granted to you by implication or otherwise under any intellectual property rights owned or controlled by MZA or its licensors, except for the licenses and rights expressly granted in these Terms. While MZA endeavours to ensure that the Website is normally available 24 hours a day, you hereby acknowledge that MZA shall not be liable if for any reason the Website is unavailable at any time or for any period or if your access to the Website is suspended. MZA reserves the right, at its sole discretion, to modify, replace, refuse access to, suspend and/or discontinue all aspects and/or any part of the Website, including any portion thereof on a global or individual basis, and to block access from a particular Internet address, Internet protocol (IP) address or geographical territory to the Website, at any time, without ascribing any reasons whatsoever. Any and all changes shall take effect at the time they are posted on the Website and/or directly communicated to you unless otherwise specified. MZA may fully co-operate with any law enforcement authorities of the United Arab Emirates or any court order issued by the courts of the United Arab Emirates or any order or direction issued by the Telecom Regulatory Authority of the United Arab Emirates requesting or directing MZA to disclose the identity or locate anyone posting any material in purported or suspected breach of any clauses of these Terms or any applicable laws. Your use of the Website and Content and any other content made available through the Website is at your sole risk and discretion, and MZA hereby disclaims any and all liability to you or any third party relating thereto. The Website may include links to third party websites that are not owned or controlled by MZA and that are provided solely for your convenience. If you use these links, you will leave the Website. MZA has not reviewed and is not obliged to review all of these third party websites and is not responsible for these websites, including their content, privacy policies, practices or availability and the conduct of the proprietors of such websites. The inclusion of these links on the Website does not imply any endorsement or approval of the linked sites or the content, information or any linked addresses therein, or make any representations about them, or any material found there, or any results that may be obtained from using them. If you decide to access any of the third party websites linked to the Website, you do so entirely at your own risk. MZA expressly reserves the right to revoke the right granted in clause 5.3 at any time and for any reason and to take any action it deems appropriate. you grant to MZA a perpetual, irrevocable, royalty-free, non-exclusive sub licensable right and licence to use, reproduce, modify, adapt, publish, translate, create derivative works from, distribute, perform, play, make available to the public, and exercise all copyright and publicity rights with respect to your Communication worldwide and/or to incorporate your Communication in other works in any media now known or later developed to the full term of any rights that may exist in your Communication. If you do not wish to grant these rights please do not submit your Communication. you have the right to make it available to MZA for all purposes and to grant the rights referred to in clause 6 and throughout these Terms. While MZA endeavours to ensure that the Content is correct and current, MZA makes no express or implied condition, warranty, representation or undertaking as to its accuracy, reliability or completeness. MZA may make changes to the Content and the products, services and programmes described on the Website, at any time without notice. The Content may be out of date, and MZA makes no commitment to update such Content. The Content is provided ‘as is’, without any conditions, warranties or other terms of any kind. Accordingly, to the maximum extent permitted by law, MZA provides you with the Content on the basis that MZA excludes all representations, warranties, conditions and other terms (including, without limitation, conditions of satisfactory quality, fitness for purpose, the use of reasonable care and skill and any other conditions implied by law) which, but for this legal notice, might have effect in relation to the Website. MZA and the officers, directors, employees, shareholders or agents of any of them (whether or not involved in creating, producing, maintaining or delivering the Website), exclude all liability and responsibility for any amount or kind of loss or damage that may result to you or a third party in connection with your access to, use of, inability to use or the results of use of the Website or your downloading or use of any Content, any websites linked to the Website or the material on such websites. You fully indemnify MZA for any loss or damage suffered by MZA for any breach by you of these Terms. These Terms represent the entire understanding and agreement between MZA and you concerning your use of the Website and the Content. Any and all previous courses of dealing, written or oral understandings, discussions, representations, correspondence and communications between MZA and you relating to the matters covered by these Terms are hereby superseded. You hereby agree that you have not relied upon, and will have no remedy in respect of, any warranty, statement, representation or understanding made by any party including MZA unless it is expressly set out in these Terms. All notices shall be given to MZA via email at legal@twofour54.com. MZA may assign, transfer, novate or subcontract any or all of its rights and obligations under these Terms at any time.